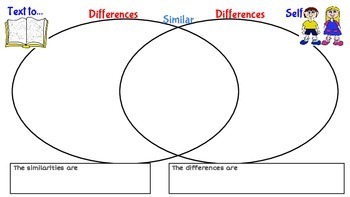 Making Connections is one of the key Reading Comprehension Strategies. If students can make connections to themselves, their lives and what they see and hear around them, then that enables them to better understand what written text is all about. 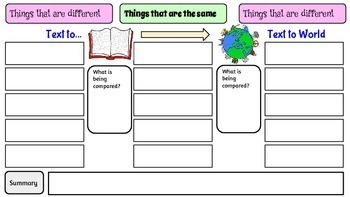 This activity pack is designed to help students to make sense of and write down what connections they have made. 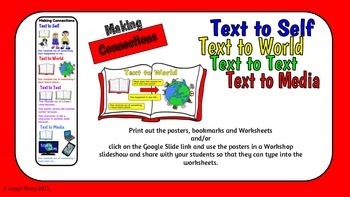 The Making Connections Activity pack can be printed out, posters and bookmarks can be laminated, and worksheets printed and shared with students. 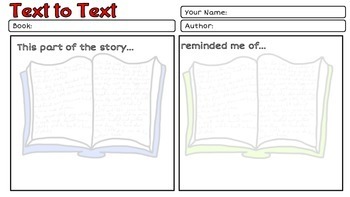 Use the bookmarks to remind students what connections they should be thinking of when they are reading their books. As an added bonus, teachers and students who have GAFE (Google Apps for Education) Google accounts can click on the shared links and use the worksheets in Google Slides.